Obituary for Excell McLean | Kelsey Funeral Home of Albemarle, Inc.
Our beloved, Excell McLean exchanged his earthly life for life eternal on Monday, March 25, 2019, at the Carolinas Medical Center Northeast, Concord, North Carolina. We give thanks to our Lord and Savior for allowing us to share his life for so many years. He will be dearly missed. Born in Scotland County, North Carolina, March 29, 1939, Excell was the son of the late Hector, Sr., and Savannah Buie McLean. In addition to his parents, he was preceded in death by: a daughter, Erica Sellers; five sisters: Geneva Gaibreath, Queen Ella Hopes, Willia Mae Lipscomb, Ollie Mae Cooley and Maggie Pankey and five brothers: John Archie McLean, Ernest McLean, James McLean, William McLean and Hector McLean, Jr.
“Buddy” as he was affectionately known, was educated in the public schools of Scotland County, North Carolina. He retired from Wiscassett Company, Albemarle, North Carolina. 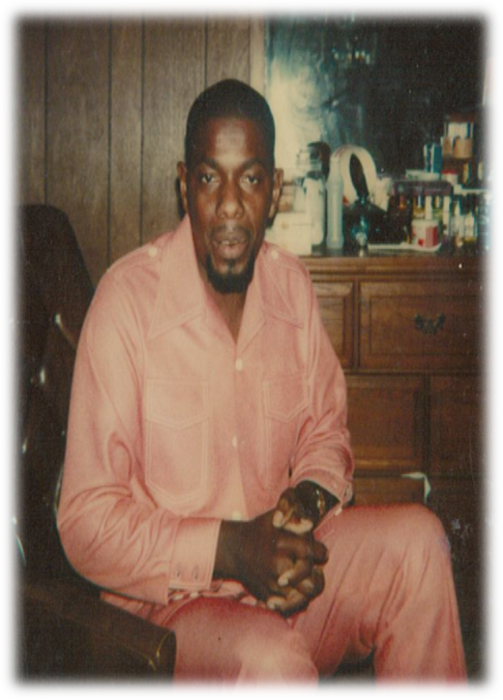 Excell was a former member of the Church of the Living God, Badin, North Carolina where he served on the Trustee Board, member of the Spiritual Singers, and Usher Board. He has enjoyed the fellowship and spirited services at East Macedonia Baptist Church, Norwood, North Carolina for many years. In his leisure, Excell enjoyed fishing, preparing his world, famous meals for his family and friends, playing a good game of horse shoe and singing the blues. He enjoyed spending time with his family and spoiling his two grandchildren whenever possible. In addition to spoiling his grandchildren, Excell shared his love with over 20 foster children as well. Excell was formerly married to late Reverend Martha Lilly McLean. Left to treasure his memories are:his daughters: Carolyn (Claude) Griffin, Badin, North Carolina, Bertina (Arthur) Scott, Albemarle, North Carolina and Donna McLean of the home; two grandchildren: Shatika and Aaliyah Scott, Albemarle, North Carolina; a host of nieces, nephews, cousins and friends.